If you’re in the market for a family vehicle that will accommodate your needs without breaking the bank, look no further than Honda’s 2016 lineup of affordable cars. Consumers are frequently on the lookout for fuel-efficient vehicles that will continue saving them money at the gas pump once they’ve saved money at the dealership, and Honda’s models fit the bill in terms of fuel economy, as well. Civic models feature a host of amenities that are offered standard, including a Maintenance Minder system, Bluetooth HandsFreeLink, Bluetooth streaming audio, radio data system, speed-sensitive data control, USB audio interface, an Eco Assist system, security system with remote entry and trunk release, MP3/Windows Media Audio playback capability, trip computer, projector-beam halogen headlights with auto on/off, tilt and telescopic steering column, illuminated steering wheel–mounted controls, and automatic climate control. 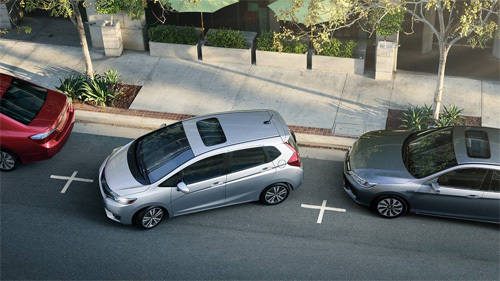 The fuel-efficient Fit models with CVT achieve up to an EPA-estimated 32 mpg in the city and 38 mpg on the highway,****** also offering impressive cargo space for a subcompact: 52.7 cubic feet. The Fit, which received a 5-Star Safety Rating for the 2016 model year from the National Highway Traffic Safety Administration,******* offers a lineup of standard safety features that includes multiple airbags, ACE body structure, anti-lock braking system, Hill Start Assist Control, Vehicle Stability Assist with Traction Control, electronic brake distribution, brake assist, Tire Pressure Monitoring System, multi-angle rearview camera with guidelines, three-point seatbelts for all seating positions, and lower anchors and tethers for children (LATCH). The Accord Coupe also features an array of safety issues to protect drivers and passengers, such as Vehicle Stability Assist with Traction Control, multi-angle rearview camera with dynamic guidelines, Brake Assist, Tire Pressure Monitoring System, available Forward Collision Warning, available Lane Departure Warning, available Collision Mitigation Braking System, and available Road Departure Mitigation System. Consumers can get an up-close look at these exceptional Honda models at any Mid-Michigan Honda Dealers location. Visit or contact any of our affiliated dealerships to find out more about these affordable cars from Honda and to take a test drive of your favorites. 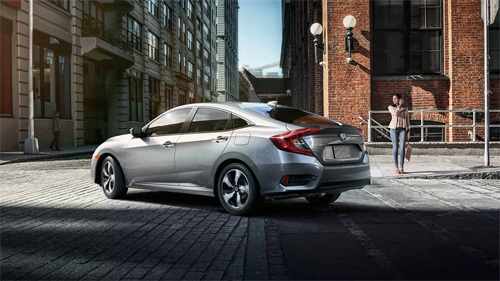 **The 2016 Honda Civic is the 2016 North American Car of the Year. ***The 2016 Honda Civic Sedan was awarded Car of the Year by Auto Guide. For more information, visit AutoGuide.com. AutoGuide.com is a registered trademark of Verticalscope Inc.
*****The 2016 Accord Sedan with Honda Sensing™, the 2016 Accord Coupe with Honda Sensing™, the 2016 Pilot with Honda Sensing™, and the 2016 CR-V Touring have been awarded the coveted 2016 TOP SAFETY PICK+ rating from the Insurance Institute for Highway Safety (IIHS) in recognition of their superior crash safety performance. ******Based on 2016 EPA mileage ratings. Use for comparison purposes only. Your mileage will vary depending on how you drive and maintain your vehicle, driving conditions and other factors. *******Safety matters most, and the 2016 CR-V, Accord, Fit, Odyssey and HR-V earned top marks with a 5-Star Overall Vehicle Score from the National Highway Traffic Safety Administration (NHTSA). Government 5-Star Safety Ratings are part of the U.S. Department of Transportation’s New Car Assessment Program (www.safercar.gov). Model tested with standard side airbags (SAB).